After almost 3 days of aviation search for the missing AirAsia QZ8501 since it lost contact from flight tower in Surabaya, Indonesia, the crash area site had been found near Java Sea. It is reported that some plane debris (confirmed coming from the missing plane) and bodies were found floating in the location. 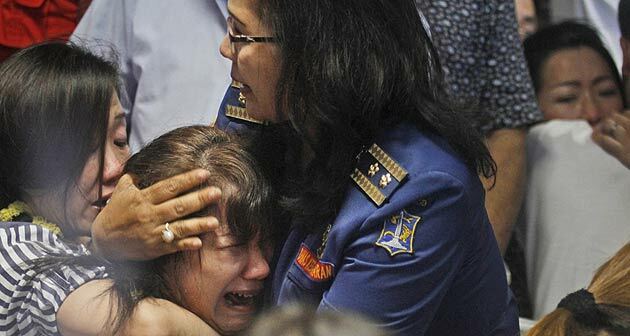 Family members of those aboard AirAsia Flight QZ8501 collapsed in agony Tuesday as images of debris and a bloated body flashed across Indonesian television screens, proof that the plane crashed into the sea two days earlier with 162 people on board. According to the official, Bloated bodies, items resembling an emergency slide, plane door and other objects were spotted in the sea during an aerial search for missing AirAsia flight QZ8501. It is still unknown if there’s survivors to the fated plane crash and the search is still undergoing from the Indonesia’s aviation rescue teams.